August 1, 2014 Dayton, Ohio – Light Tester inspection equipment is an important part of quality control for all food and beverage cans. Stolle Machinery offers the Randolph LT Series light tester, which detects pinholes and cracked flanges in can bodies, and is designed for continuous production with minimal maintenance. Many of these Randolph LT Series light testers in the field today still have the old halogen bulbs, which require change out every couple months. Not any longer! In cooperation with Stolle, custom sensor and control designer Prime Controls has designed an LED Upgrade Kit to replace these older halogen bulbs. The LED Upgrade lasts 50,000 hours, as opposed to 2,000 hours for the halogen bulbs. That means changing a bulb every six years, instead of every couple months, which reduces unscheduled downtime, labor cost and bulb replacement cost. In a cost analysis completed by Prime Controls, the company determined that the upgrade pays for itself within the first year when the cost of unscheduled downtime is factored in, along with energy cost savings, bulb replacement cost, and labor. 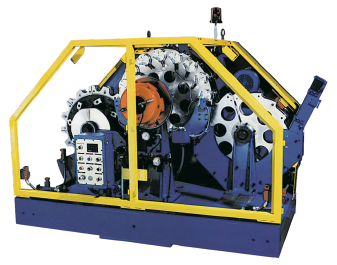 Unscheduled downtime is expensive for plants which rely upon continuous operation. By eliminating unscheduled downtime due to halogen bulb replacement, the LED Upgrade could potentially save over $100,000 per machine over twelve years. Even when unscheduled downtime isn’t factored in, the LED upgrade pays for itself in less than four years in Energy Cost Savings alone. Within twelve years, you’ll save nearly $12,000 per Light Tester in Energy Expenditures alone, as savings continue to grow overtime. 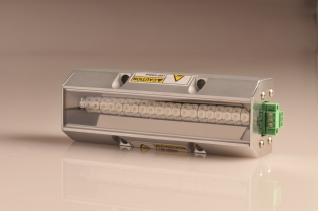 This LED upgrade is a no brainer for can plants looking to cut cost without cutting quality. Additional benefits to the LED upgrade include a lower operating temperature, which increases safety, as well as minimal rework for the installation. The LED Upgrade Kit is priced economically and can be ordered directly through Prime Controls. For pricing and availability, please call +1-937-435-8659 or email vip@primecontrols.com.